Hmmm....several cakes, you say? Come on over! I've got pie and wine. Count me in! (Gets extra wine glasses out). I hope Charles will light a white candle and smudge after going the distance with Council Caro. Protect himself from the Dark Forces she conjures up. Wouldn't want any psychic backlash or whatnot. Put me in for some Hors d'oeuvres. Count me in! I'll bring popcorn! 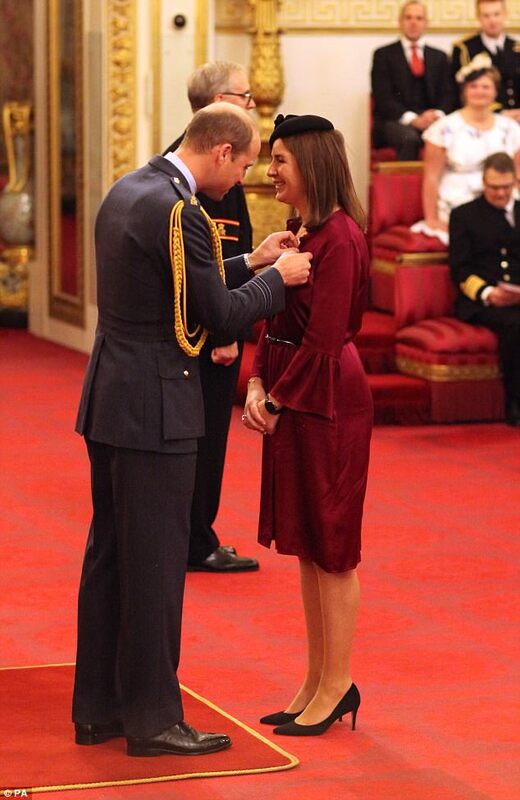 The Duchess of Cambridge's former private secretary Rebecca Priestley, née Deacon is to be honoured next week, most likely by the Queen. 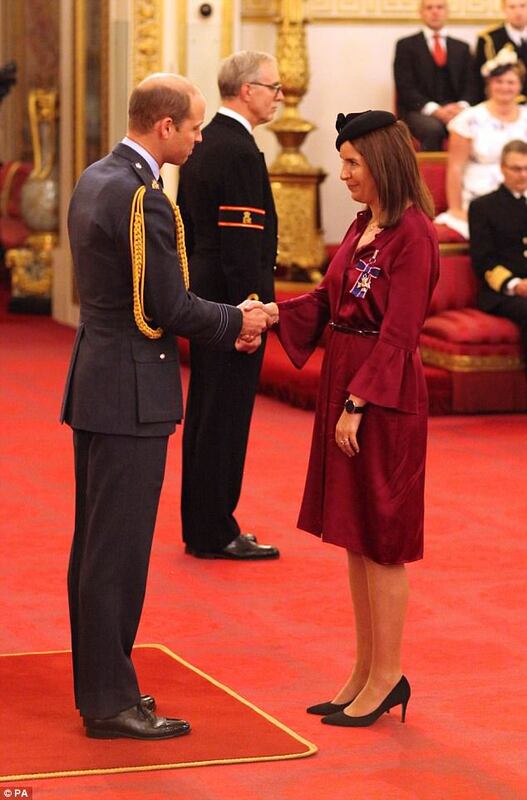 Rebecca will be given the Royal Victoria Order at a Buckingham Palace investiture ceremony on Wednesday 11 October. The honour is given to people who have served Her Majesty or the monarchy personally. 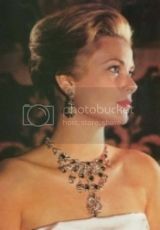 Rebecca was a member of the royal household for ten years. She started working specifically as Kate's right-hand woman in 2012, one year after the Duchess married Prince William. 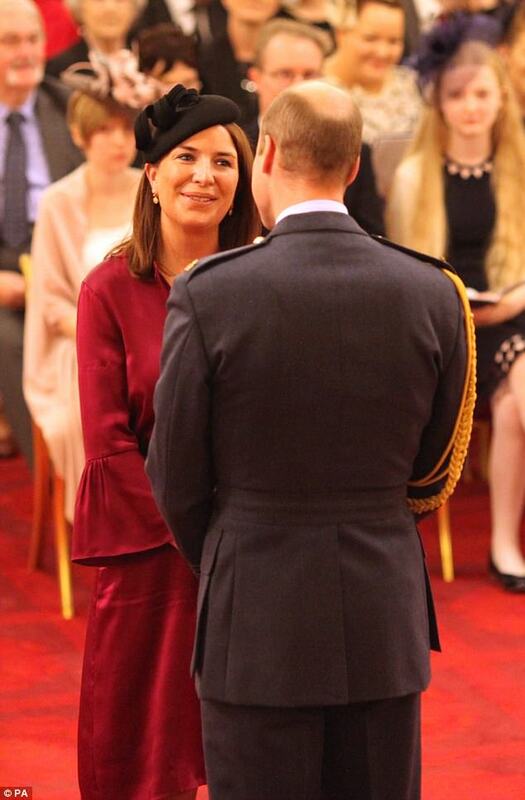 Often seen by Kate's side at events, Rebecca's duties included organising official programmes and engagements and ensuring Kate was briefed on who she was meeting. So Rebecca gets an Order from HM before her ex boss gets the Family one? I bet Kate's thrilled about that! In all fairness, Becky did work a little harder than Waity. So you get a big ol' Royal award for having some of the lousiest fashion sense ever? Sounds about right these days. "I don't think there is a conflict behind the scenes as far as the main players (the royals) are concerned… but there probably is a conflict between the people who are organising them," said Dickie Arbiter. But Buckingham Palace, Clarence House and Kensington Palace do still at times work to their own agendas, with their own distinctive priorities, as staff try to manage the needs of an ageing monarch. ^ very odd article, that. Oddly yet precisely worded. Wonder what they're actually saying? Because they definitely are laying the ground with those comments. It seems like there is some disorganization and power games going on behind the scenes - KP read: Wasty and Mum's missives to DM. The Duke and Duchess of Cambridge, along with Prince Harry, are in need of a senior communications officer, according to an official job listing. The royals are looking for someone to take the "lead on communications plans and the delivery of engagements and overseas tours." Applicants must have extensive experience in the field and the “ability to handle sensitive information with tact and discretion” is a must. Sound like your cup of tea? There’s less than a week left to apply as the post closes on Oct. 26. The vacancy is the latest opportunity to work with the popular royal trio. Over the summer, the duchess and the two princes sought a senior communications officer for the Royal Foundation, which handles charity projects. Duchess Kate also lost her private secretary, Rebecca Deacon, who had stepped down after working for the former Kate Middleton for five years and the royal family five years before that. The job listing does not state how long the position would last, but it undoubtedly will involve handling a lot of sensitive material involving Duchess Kate, who is expecting her third child in April. She only recently has resumed her public engagements after spending more than a month suffering from hyperemesis gravidarum, a rare pregnancy complication she also experienced with her two previous pregnancies. I guess Jason got the boot. Not surprising really as he made a mess of things but I would imagine they are extremely difficult to work with both allegedly never listening to advice. ^^There’s probably two camps, one of brown nosers who are inept and the other running for their lives. Just a hunch. ^That's correct. I believe that article/interview that Dickie Arbitar gave on Sky News said as much. Instead of all staff working collectively to get the task done, it seems that some staff felt things were beneath them because they worked for senior royals. I still say that the woman that Charles brought in, the one that the papers are saying will be Waity's new secretary, is in fact his chief of staff who's putting a professional operation to manage Wills, Waity and Harry. The unprofessional and inexperienced staff and, yes, brownosers will have to go and the royals will have to get it through their heads that have to put up with the public's criticism because of their lack of work and relevance in these troubling times. The only way to stem the tide of criticism is to show they make a difference and are good value for money. I do not even think that right now there are many people of the second type if any. They only like yes people and consider themselves experts on everything.